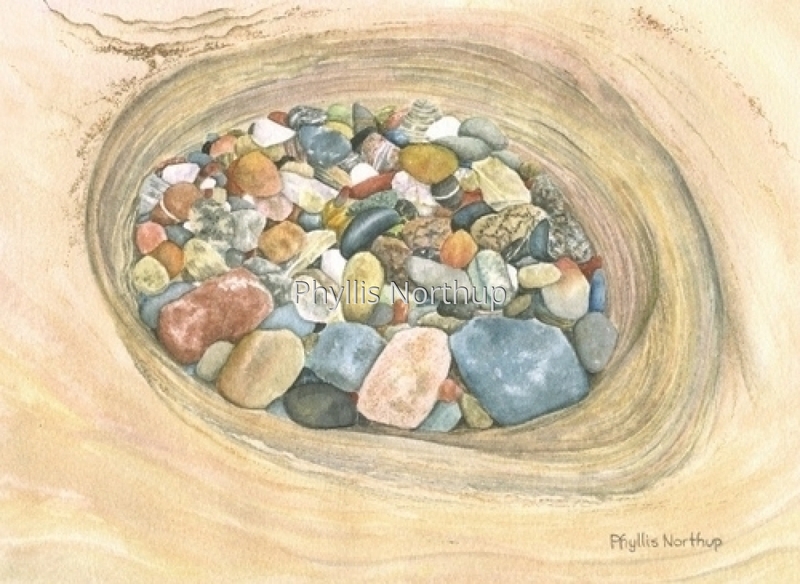 Another in my series of paintings of rocks from the ledges by the AuSable Light Station, this pothole was so round and just full of rocks. It reminded me of a nest of eggs! Limited Edition print from original watercolor. Original framed.